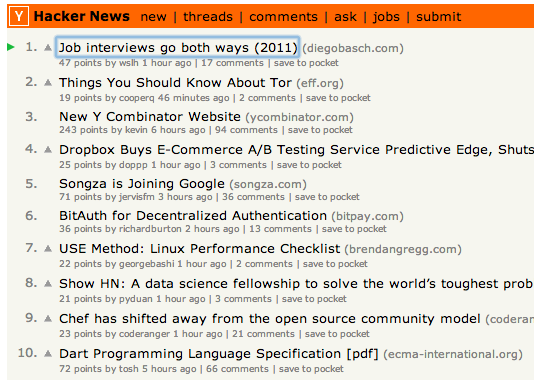 I’ve been working on a Chrome Extension that enables full keyboard navigation of Hacker News, I named it Hackercut. After some learning and crafting, now it’s released in Chrome Web Store. 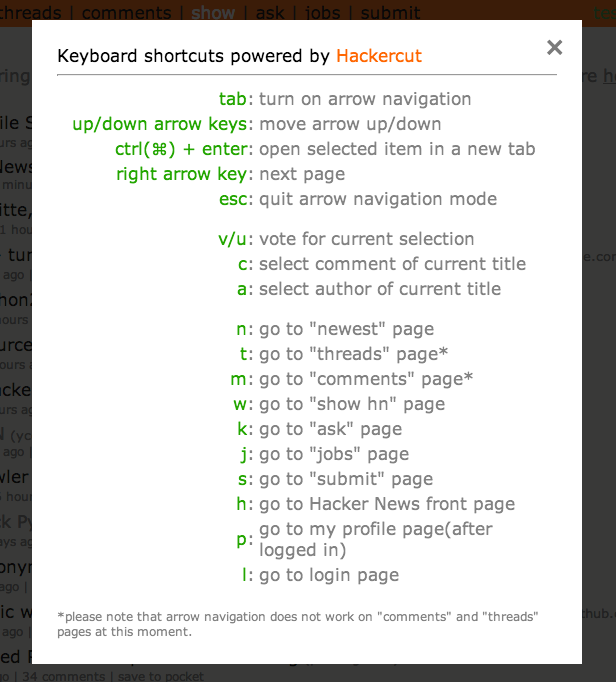 If you watch Hacker News and like keyboard shortcuts, you should definitely check it out. Arrow Navigation is the most powerful feature of this extension, you can go through the story links using just your up/right arrow keys and open/vote up/view author/view comments as you like.